This stinging indictment should have been a wake-up call for California lawyers. However, the State Bar has come roaring back with a vengeance; and it is worse than ever, and a true disgrace. Once again it is a “rogue” trade association; a waste of its members’ and taxpayers’ monies; and a travesty. It should be eliminated permanently, with its staff sent looking for other jobs. Or at the very least, it should become voluntary, with its disciplinary functions transferred to an independent arm of California’s Supreme Court—and its present staff of rogue prosecutors eliminated completely. Today, I am ashamed to be a member of the State Bar; and I never thought that I would come to that conclusion. It is like belonging to a private club that discriminates, and is run by an inbred clique or cabal. At best, it is a third-rate trade association—and Sacramento and Washington, D.C. are full of them. Undergraduates in colleges, and others who enter law schools in California, have been lulled into the belief that being a lawyer is some “magical” ticket to success—which it is not—and that it is an honorable profession to join. What they do not realize is that very successful lawyer friends of mine and I have recommended for many years that our kids and others never become lawyers or practice law . . . albeit I am proud of what I have accomplished as a lawyer. The value of this advice will be even more evident as California’s economy deteriorates during the balance of this decade, and fewer Californians are able to afford legal services. The State Bar has defrauded would-be lawyers by failing to disclose that the debt obligation a legal education entails may encumber the students (or their parents) for much of their lives, and there may be no jobs when they graduate. A $15-an-hour job as a non-lawyer will not service a $150,000 debt incurred during law school, yet the State Bar never discloses this because it is knee-deep in fraud itself. The first goals of any trade association are to perpetuate its existence and full-time employment for its staff members, which the State Bar has been doing with gusto since it essentially went out of business. Also, the State Bar has done almost nothing to police abuses by lawyers in California, relating to fraud in mortgage lending and other activities. It has wasted valuable resources pursuing “minnows,” all the while allowing the “big fish” to escape unscathed. It has never gone after the lawyers at Countrywide who participated in and/or condoned predatory lending practices; and one of Countrywide’s lawyers even testified on the State Bar’s behalf in a predatory lending case. Equally disturbing, disconcerting and odious is the fact that divorce lawyers prey sexually on their vulnerable and distraught clients. They should be automatically disbarred; and the State Bar is culpable and morally reprehensible for failing to act. As in the case of other professionals—such as medical doctors and psychiatrists who prey on their vulnerable patients—the most stringent sanctions must be imposed, but they are not. The State Bar turns a blind eye, which undermines any notions of morality and propriety that it purports to represent. Its failure to disbar these divorce lawyers is inherently repugnant. Women’s rights organizations especially should be up in arms, protesting the State Bar’s culpability. Anyone is vulnerable during divorce proceedings, and this is particularly true of women. Yet the State Bar does nothing. If some lawyers can act with impunity in the context of divorces, what use is the State Bar to society—or to those lawyers whose conduct is above reproach? Unlike the District of Columbia Bar, of which I am proudly a member—for example, because (1) it is more prestigious, with its members being recognized on a nationwide and worldwide basis, and (2) it does a far better job, and (3) its members are charged much less in terms of annual dues—the State Bar forces its members to satisfy Continuing Legal Education (“CLE”) requirements every three years, which is absurd. Financial “kickbacks” are standard for the State Bar, which is a travesty unto itself; and mandatory CLE is merely one example. Most CLE courses that are required have no bearing whatsoever on a lawyer’s legal specialty and practice. Over the years, I have never seen a successful lawyer who failed to keep up with the nuances of his or her specialty. Indeed, truly proficient lawyers do it each and every day that they practice law; and there is no need to take mandatory CLE courses to accomplish this. Quite to the contrary, it is a waste of time—but the State Bar mandates this because it enhances the State Bar’s financial coffers and insures the perpetuation of the trade association’s existence and power. The contrast between the State Bar and the District of Columbia Bar is striking in almost every respect. Aside from costing much more, the State Bar is grossly inefficient in serving its members. For example, I received a check from a purported “client” in what turned out to be a fraudulent “phishing” scam; and I contacted both bar associations to ask what I should do with it, ethically. The D.C. Bar got right back to me; and one of its attorneys was very thoughtful and helpful. No one from the State Bar ever called me back, and I gave up trying to reach them. To say that the State Bar is totally worthless—and lawless, and does not pay its bills—is not to exaggerate one iota. When I was sworn in as a California lawyer, I was in awe of the State Bar. However, this has not been true for many years. It is just one more fraudulent trade association, whose existence is perpetuated to serve its staff members above everyone else. Lawyers are held in low esteem today, inter alia, because rogue organizations like the State Bar exist, which are bankrupt morally and ethically. Its support from financially strapped Californians and the equally strapped State of California is wasted and must be eliminated completely; and its membership must become voluntary, at best. Clearly, enough political forces coalesced to effectively put the State Bar out of business when Pete Wilson was California’s governor. The same thing must happen now—this time to accomplish the job once and for all, and eliminate what is probably the most corrupt and diabolical trade association of its kind in the United States. In a quotation attributed to the Irish-born statesman Edmund Burke: “All that is necessary for the triumph of evil is that good men [and women] do nothing.” California lawyers must rise up and say enough is enough, and mean it this time. Perhaps it is naïve, optimistic and idealistic to believe this will happen, but hopefully not. American justice requires nothing less. Note: The author has held these personal opinions for many years, probably since the State Bar was effectively put out of business (see infra n.3), and he and other members woke up to problems with the Bar. The author paid dues, but worked full time in Washington, D.C. then, and did not pay much attention to the Bar. He began drafting this article in 2012, long before he heard the names Erin McKeown Joyce, Thomas A. Miller or Lucy Armendariz; and he made refinements (i.e., principally to its footnotes) before it was published here. Two general counsel (i.e., “the State Bar’s lawyer,” or chief legal officer) have served during this time frame: Joseph Starr Babcock and Thomas Allen Miller. Babcock came in to pick up the pieces after the State Bar essentially went out of business; and Miller came on board recently after practicing law. Miller has taken a “hands’ off” approach, by saying that his “Office of General Counsel” has no “direct involvement” with “the exclusive jurisdiction of the Office of Chief Trial Counsel,” despite the fact that Miller was told by the author that (1) one of his lawyers in the latter office—Erin McKeown Joyce—has totally ignored the law nationally, as enunciated by the U.S. Supreme Court, the Ninth Circuit and California’s Supreme Court; (2) the State Bar owes the author a substantial sum of money stemming from his deposition testimony as an expert witness, and payment is required by a California statute; (3) another member of the State Bar is reportedly subject to criminal prosecution for fraud, Lloyd J. Michaelson (SBN 94145), yet no actions have been taken by the State Bar; and similarly (4) the State Bar has not taken action against a second attorney, Richard H. Lubetzky (SBN 154032), even though he suborned perjury with respect to testimony before the State Bar, and his troubled history with the State Bar began before his admission to the Bar. See, e.g., http://articles.latimes.com/1990-07-25/news/vw-1012_1_state-bar; see also infra n.11. The author has debated for some time whether to go “inactive,” or resign from the State Bar altogether. He applauded the actions that essentially put it out of business. While it may be best to fight it from within—because only a relatively small number of lawyers know how truly corrupt it is—the State Bar costs the author money, and it wastes his time satisfying useless CLE requirements. Since being admitted to the State Bar, the author has handled very few matters in California, and less than a handful for individual clients. 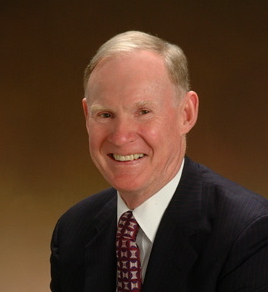 Mostly, he has purchased banks there from the federal government for large business clients located elsewhere in the U.S. or overseas; served as an expert witness for the FDIC, in connection with a failing national bank case; and served as a special consultant to the State on banking matters, during the first administration of Governor Jerry Brown. If one looks hard enough at the State Bar’s Web site, its staggering budget is set forth, although nowhere is an overall summary presented. See, e.g., http://www.calbar.ca.gov/AboutUs/Reports.aspx (“2015 Proposed Final Budget”). Its members must be provided with such information in great specificity, because they pay dues; and the public must be as well, because the State Bar’s budget is part of the General Fund support for California’s judicial branch. Also, funds for the State Bar should be eliminated entirely. For 2015 alone, more than $5 million is shown for the Office of General Counsel, even though the State Bar’s lawyer apparently will not “intrude” in the activities of his lawless Office of Chief Trial Counsel (see infra n.4 & 11), whose budget for the same period is shown to exceed $30 million. Both individuals are shown to earn $200,000 per year. The bar’s programs are financed primarily by fees paid by attorneys and applicants to practice law. In 2011, the bar’s general fund budget was more than $64 million, over 75 percent of which funded the bar’s attorney disciplinary activities. See http://www.calbar.ca.gov/AboutUs/StateBarOverview.aspx (“How is the State Bar funded?”). Surely, the State Bar must cite figures that are more recent than three years old; and 75 percent of “more than $64 million” equals almost $50 million. This means that the Office of Chief Trial Counsel’s budget is likely more than that amount today, rather than the amount shown in the “2015 Proposed Final Budget.” And this money is paid to rogue prosecutors, who are seeking as many “scalps” as they can take. Not many lawyers can afford to fight this vicious and unholy juggernaut. See infra n.11. James Goldberg of Bryan Cave LLP, San Francisco, represented related persons and entities—for example, Bank of America, N.A., Countrywide Home Loans, Inc., ReconTrust Company, Mortgage Electronic Registration Systems, Inc. and Kelly Germa (hereinafter referred to collectively as “Countrywide”)—which have been defendants in a lawsuit alleging predatory lending and fraud; namely, Kaleb v. Bank of America Home Loans, et al. (U.S. District Court for the Northern District of California, Case No. 3:09-cv-05958-RS). In turn, Goldberg testified on behalf of the State Bar in a predatory lending case before the State Bar Court, In the Matter of Sharon Lapin, 165919, A Member of the State Bar, in which Countrywide’s wrongdoing was an issue. Clearly, the State Bar has zero problems with (1) allowing the “fox” into the “chicken coop,” and (2) not pursuing the lawyers at Countrywide—which was headquartered in Calabasas, California—for their wrongdoing, despite the fact that Countrywide has been the “poster child” for fraud in America’s mortgage lending scandals. Also, all of this occurred before State Bar Court Judge Lucy Armendariz, who presumably had no problems with it either. See also infra n.11. Instead of eliminating CLE requirements altogether, the State Bar has actually advocated increasing them, which is patently absurd—and simply underscores how irresponsible the State Bar is. Furthermore, the State Bar is wasting money auditing thousands of its members—to ensure compliance with the requirements—which is absurd, abusive, and another reason why the trade association should be abolished. Education of California’s lawyers can and does take place on an individual, very personal basis. Also, there are many private organizations, such as universities, which provide superior educational resources. Any person who is subpoenaed and required to give a deposition shall be entitled to receive the same witness fees and mileage as if the subpoena required him or her to attend and testify before a court in which the action or proceeding is pending. The State Bar has not paid the author, and one must assume that it has not paid others as well. In its defense, on September 12, 2013, it produced a handwritten “Clarification order,” dated July 9, 2012, for the first time—which had been signed by State Bar Court Judge Armendariz, and purported to shift the fees and costs away from the State Bar. However, it did not override or nullify the California statute; and arguably the State Bar Court judge is “complicit” in the State Bar’s lawlessness. How many people have been “cheated” financially by the State Bar? Indeed, it must be determined—by means of an independent investigation—how many other times the State Bar has used the State Bar Court or other ruses to cheat people out of monies that are owed. The spotlight must be focused on the State Bar’s employees and State Bar Court judges who engage in such abuses. Next, a “Senior Trial Counsel” with the State Bar, Joyce, told the author that the “black letter law” decisions of federal courts (including the U.S. Supreme Court, and the U.S. Court of Appeals for the Ninth Circuit) do not count as far as she was concerned, nor do decisions of California’s Supreme Court. In essence, she was saying that the “law of the land” could and should be ignored. Needless to say, the author was stunned and flabbergasted by her ignorance and naïveté, yet these are the types of lawyers who are apparently employed by and represent the State Bar. They are lawless; and hence, when the State Bar acts through them, it is lawless. Evidently the performances of the State Bar’s prosecutors are measured by how many “scalps” they take, which gives them enormous incentives to go after the State Bar’s members, whether they are innocent or not—and grotesquely distorts the prosecutorial process. When State Bar Court judges override existing laws, without thinking twice about it, one understands how corrupt the system is, from one end to the other. See infra n.6. Imagine a life spent hurting people. Joyce may be a perfect example, and the question is: how many people has she hurt? Unlike some state bar associations such as the District of Columbia Bar, where the membership is worth something, the State Bar is a burden and not something to be proud of. When it essentially went out of business, it was not missed except by its staff members, who had been feeding at its trough. Can our legal system be fixed, and will the American people come to trust and respect lawyers and judges again, and believe that justice not only exists but prevails in this great nation? Maybe . . . if the profession is restructured, and if it attracts those people who believe that the law is sacred, sacrosanct and pristine—truly a shining city upon a hill—and they put such principles into practice. The profession does not require saints, but it does need something different than “Law West of the Pecos by Judge Roy Bean.” And it needs people who are different than it has been attracting: who are often driven, ruthless, unprincipled, money-hungry, and power-hungry. See infra n.7 (emphasis in original). At the very least, Joyce seems to be Bean’s successor. On July 29, 2014, Joyce commenced a disciplinary action against the author based on (1) “Failure to Update Membership Address,” and (2) “Unconscionable Fee” and “Failure To Refund Unearned Attorney Fees.” The charges were totally false, bogus and constituted pure harassment—and this article was written well beforehand (see infra n.2)—but she brought the action anyway. And Miller did nothing to stop her, even though both were briefed fully about the issues. See, e.g., infra n.4. It is unrealistic to expect even a modicum of justice from a rogue prosecutor such as Joyce, or a judge like Armendariz to whom the author’s case was assigned, who ignores the law. It is interesting that on the same date, July 29, 2014, the homepage of the State Bar’s Web site asked in a banner headline: “What can the State Bar of California do for you?” Above that question in bold print appeared another headline: “MCLE audit will include more than 5,500 [members].” See infra n.10. Below the question appeared another headline: “State Bar Court recommends three-year suspension for prominent ex-prosecutor.” This is the State Bar today: hurting its members in every way possible, to justify its bloated budget and staff. There is no way to predict with certainty how a federal judge will act: lawyers are not fortune tellers or seers. A new District Judge decided against the author’s clients, just as the judge decided against a major Hollywood movie studio where a friend of the author is Executive Vice President and General Counsel. Hence, the former clients came after the author—even though no lawyer can guarantee success, and the author made that clear to them—and Joyce was only too happy to oblige. Imagine every lawyer in California being harassed by the State Bar when he or she loses a lawsuit, which is Joyce’s modus operandi and constitutes nothing more than a witch hunt. The author ceased to represent the former clients more than ten years ago. Hence, the case is time-barred by “Rule 5.21 Limitations Period” of the Rules of Procedure of the State Bar of California, which states in pertinent part: “[T]he proceeding must begin within five years from the date of the violation.” The case was baseless for other reasons as well. However, this did not matter to Miller or Joyce, or deter them. The tragedy is that Californians and other Americans were defrauded by Guthy-Renker, yet the federal judge did not care; and certainly, neither Miller nor Joyce care, even though Guthy-Renker conducted its fraudulent scheme from and in California. Just as the State Bar does not take action against Countrywide’s lawyers—or against (1) attorneys who prey sexually on their vulnerable clients in divorce proceedings, or (2) Michaelson who is reportedly subject to criminal prosecution for fraud, or (3) Lubetzky who suborned perjury with respect to testimony before the State Bar, which is a crime—so too it looks the other way regarding Guthy-Renker and its lawyers. Lots of Californians and Americans are hurting these days, including lawyers. See https://naegeleblog.wordpress.com/2012/02/07/poverty-in-america/ (“Poverty In America”) (see also the comments beneath the article). California has severe financial problems. However, the State Bar continues to spend like a “drunken sailor,” which is unfathomable and reprehensible. 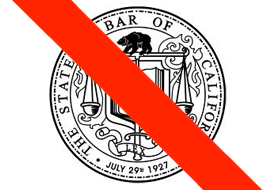 Also, it is not beyond the pale of reason to believe that boycotts of the State Bar and its activities by members may occur; mass refusals by them to pay State Bar dues may take place; and California lawyers may refuse to satisfy the State Bar’s CLE requirements.